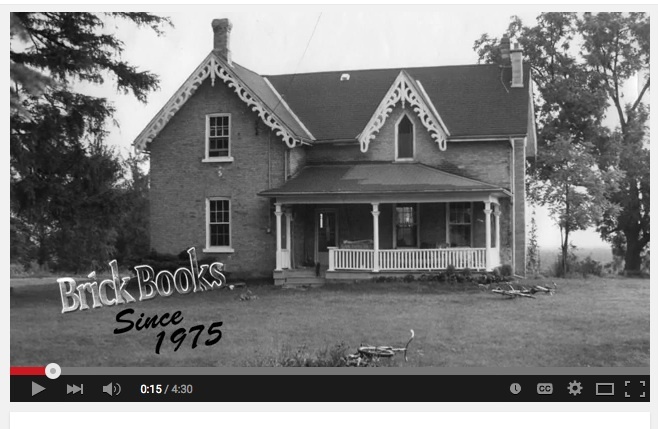 Congratulations to Brick Books on 40 years of publishing! For a closer look at Brick Books past and present, see Celebrating 40 Years of Publishing Canadian Poetry (YouTube). Brick Books‘ year-long project “Celebration of Canadian Poetry” continues with Colleen’s poem “The Glass Cupboard“. 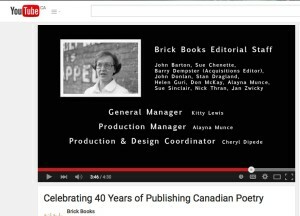 From Brick Books’ video “Celebrating 40 Years of Publishing Canadian Poetry” — this photo of Colleen Thibaudeau appears at the 3:45 mark.